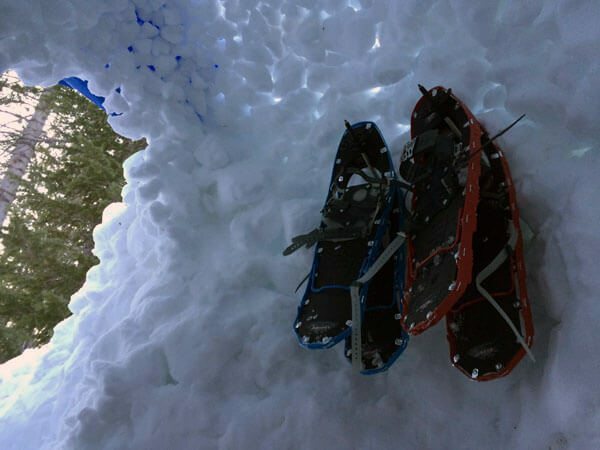 The San Francisco chapter of the Sierra Club holds an introductory snowcamping course every year. Members and non-members go out in the backcountry to get some hands-on experience with seasoned snowcamping veterans. The course was… an interesting experience. I’m not sure if I would do it again. It’s definitely a great learning experience if you’re looking to transition from three-season backpacking to backpacking and camping year-round. However, the course could be infinitely more organized. The course is taught in groups of thirty people, with about a 50:50 ratio of instructors or assistant leaders to students. 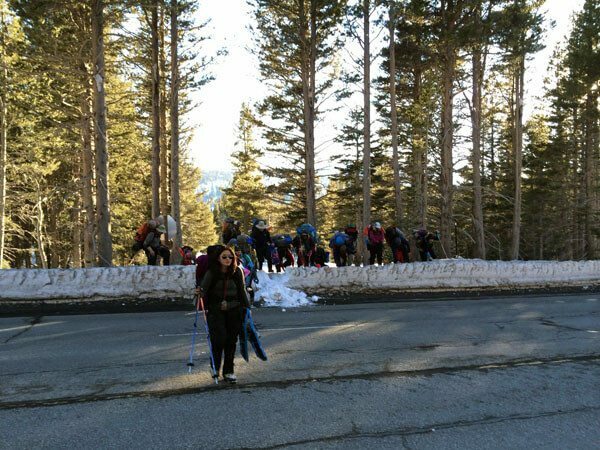 Students spend one day in the classroom and two trips in the backcountry. The classroom day is meant to give you a brief overview on what to expect, how to prepare, and what you need. 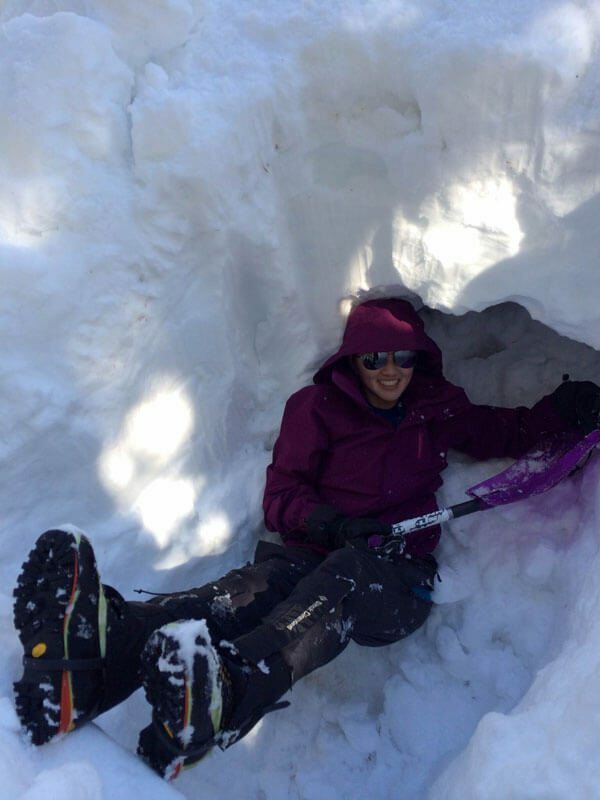 Then you go out on two trips to practice your skills: map and compass, snow shelters, digging, etc. 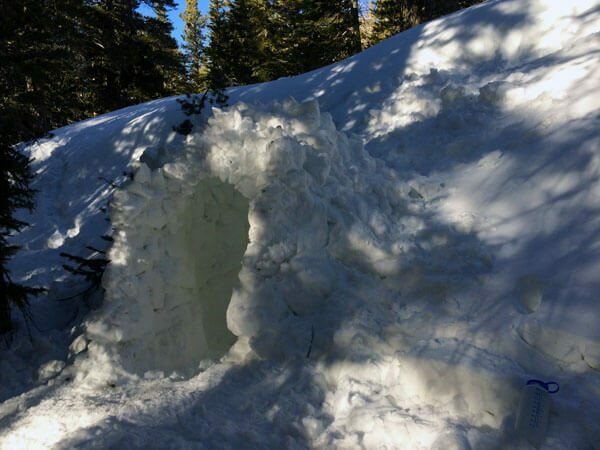 The Sierra Club Snowcamping version of backpacking is incredibly different from what I’m used to. I’m all about traveling long distances, eating fast dinners, crawling into my bag when darkness falls, and sleeping until the sun rises. I consider backpacking a nice “reset button” when everything gets thrown out of whack and I need to slow down on life. Not on this trip. The group had a five course (yes, five) meal that began around 5pm that was supposed to last well into the night. Though everyone was great, friendly, nice and knowledgeable, the amount of anecdotal information everyone had to share was overwhelming and time-consuming. All the assistant leaders had something to say about everything; everyone had an opinion on what was right and what wasn’t. Oftentimes, the more seasoned folks repeated stories over and over again. It lead to a lot of sitting around and listening. All in all, the instruction and knowledge were great. I got a good refresher in map and compass and route-finding. 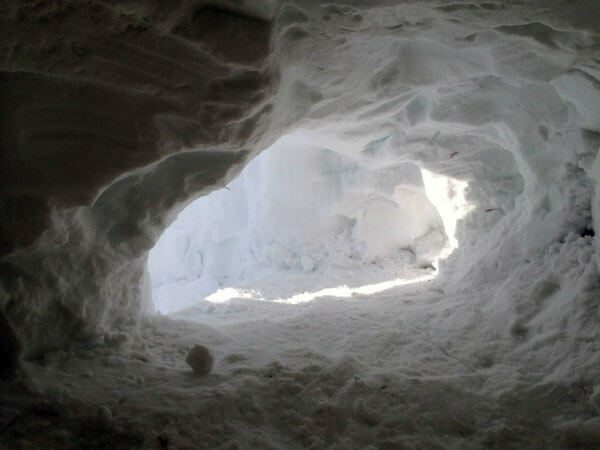 And I built an igloo-snowcave hybrid with a gear closet. I’d say the latter alone was worth it all. 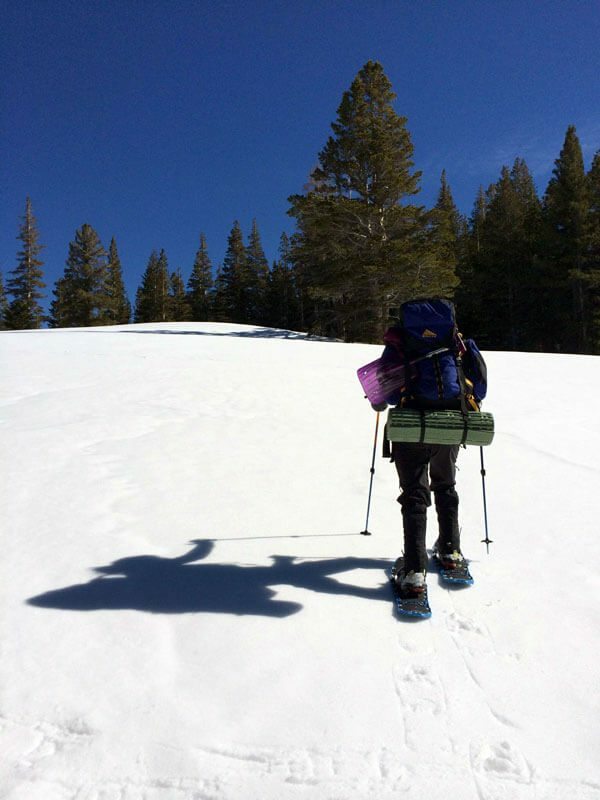 If you’re interested in taking this course, please visit the Sierra Snowcamping website here. The 2014 season is almost over, but you can start prepping for 2015! Interesting PoV. I work with snowcamping.org although I was unable to make any trips this year due to business commitments. At any rate, I agree that this is a much more relaxed approach to backpacking than what you seem to typically do. When I was younger, I also reveled in the push as far, hard as you can, type hiking and I still do a fair amount of that. I am also a born soloist, so the size of the groups has been at times disconcerting. And on top of that, I barely eat when hike by myself particularly at altitude. I’ve actually come to enjoy the group kitchens and socializing around meals and I’m always happy to meet up with the folks I’ve come to know over the years. It is actually fun to see what some cooks will attempt in the field. I do cook (and pretty well) at home, but never enjoyed cooking in camp and probably never will. But my pleasure in what other folks can prepare seems to abate only when I am taken over by a tinge of altitude sickness. 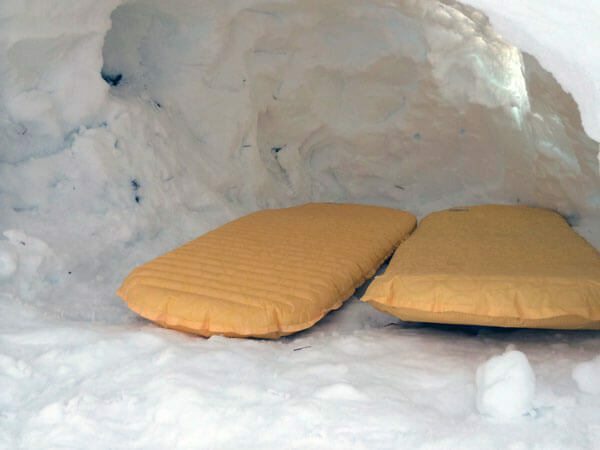 I do feel a little guilty every year because I really want to shelter alone and I do try to find a tent platform or snow shelter location reasonably remote from the main group. I just wouldn’t go to the wilderness if I didn’t think I would get to spend time alone there. That is the thing that fires me up about the back country, the potential of being all alone to deal with my spirit as I will. 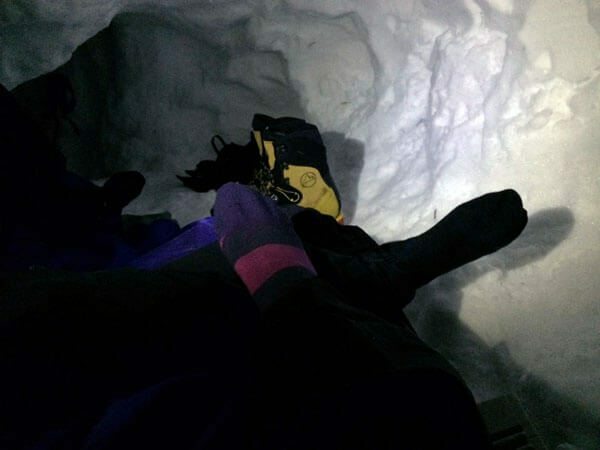 So with the snowcamping.org, I do feel a bit of social pressure that can create some cognitive dissonance. 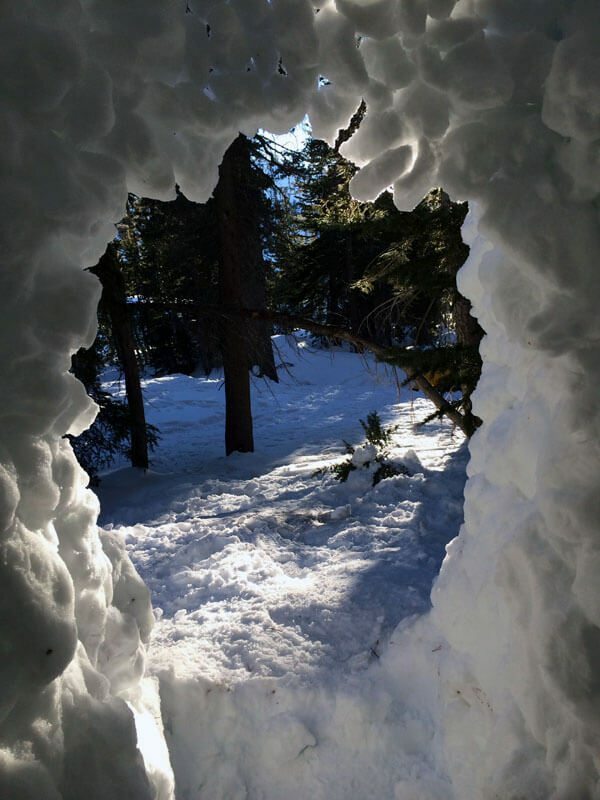 All in all, I’d have to say my experience with snowcamping.org has been pretty positive although I sometimes chafe at the bureaucratic imposition of the Sierra Club.